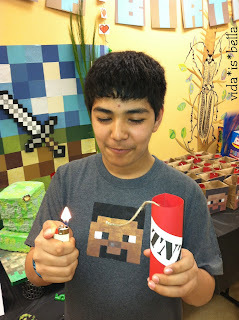 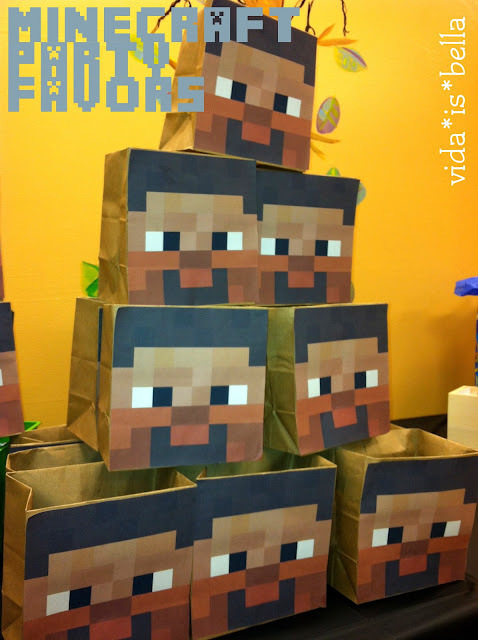 What would a Minecraft party be without the star of it all? 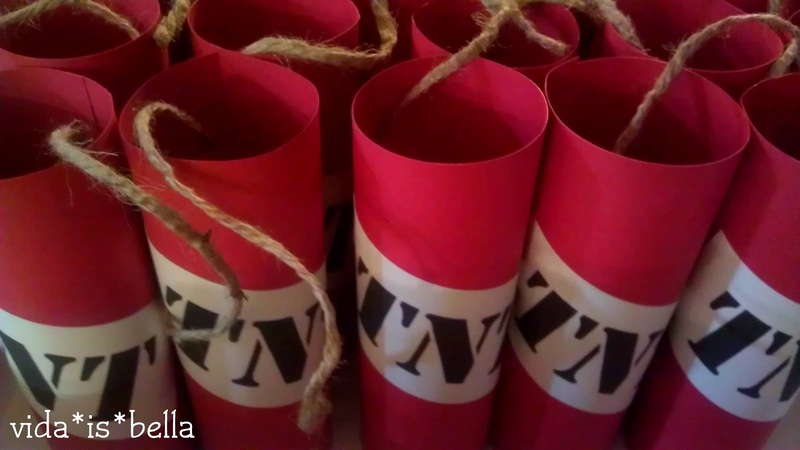 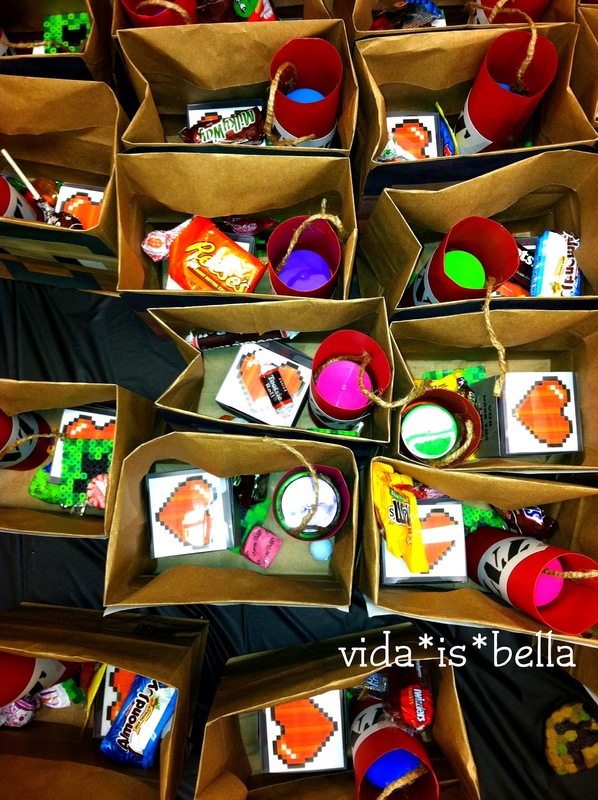 We printed and cropped the image and glued them to brown paper bags. And well, we all need a little LIFE during game play. 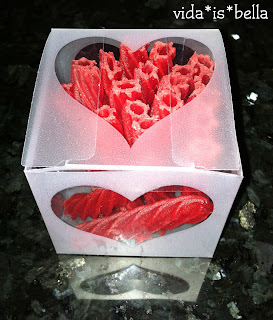 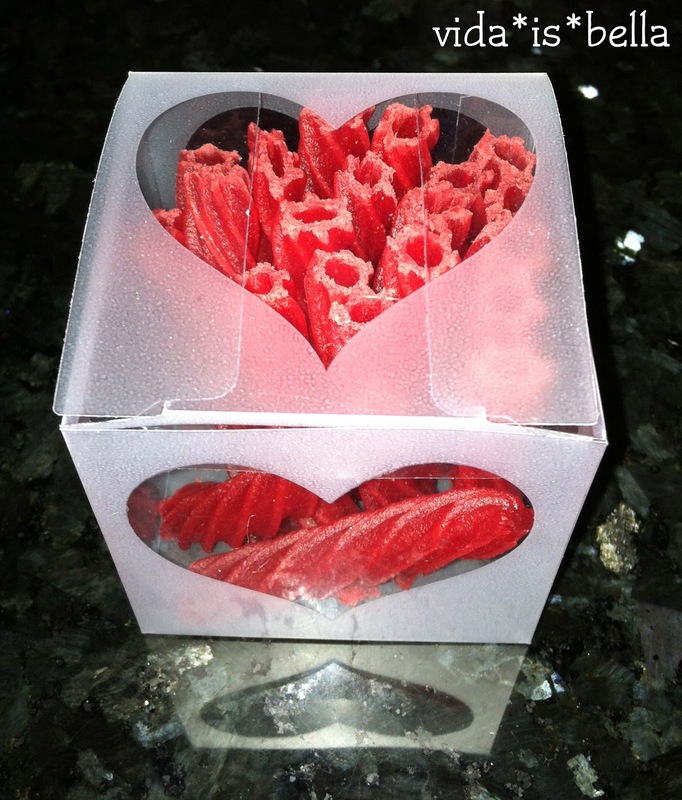 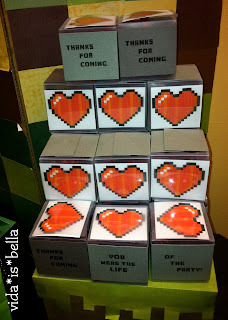 These cubes were purchased at Joann Fabrics in the wedding favor aisle. 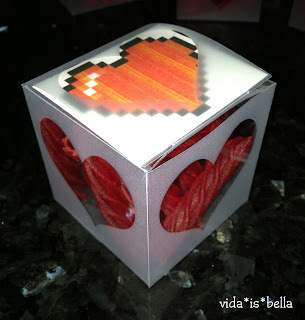 We downloaded the Minecrafter 2.0 font and a pixleated heart. 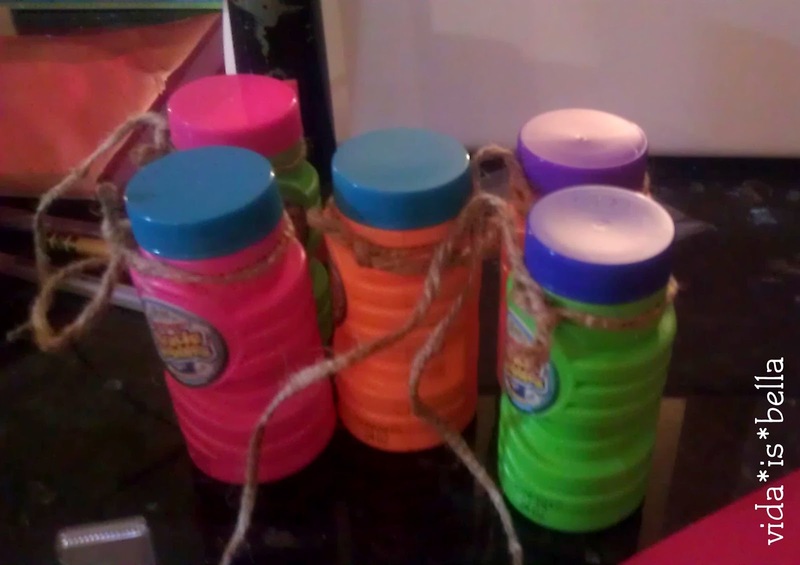 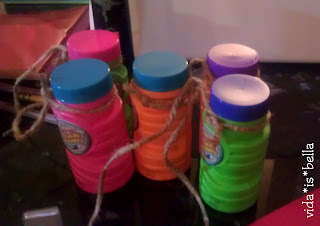 bubbles bottles that had been previously tied with cord. 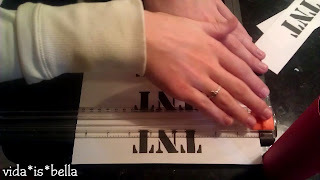 Then using a stencil font we created and printed a TNT label. 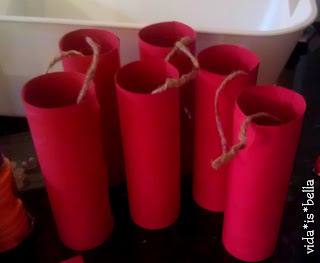 Here are the finished dynamite. 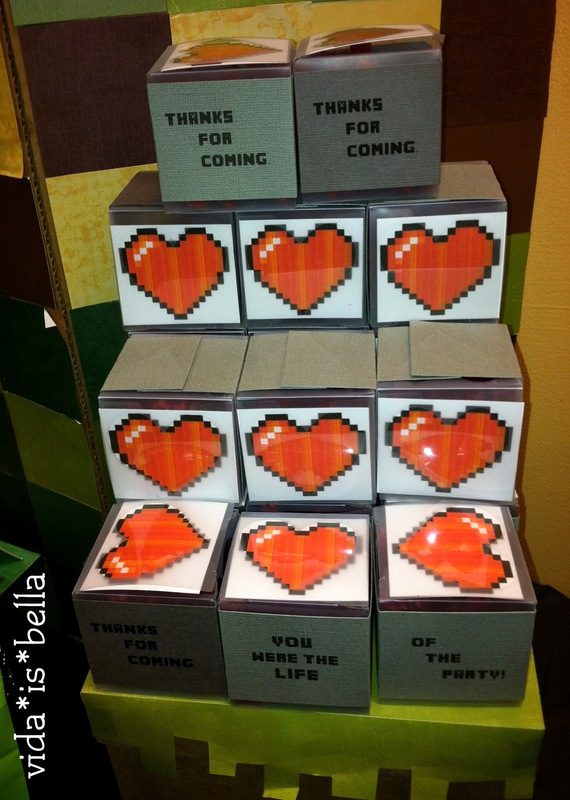 they helped with the perler bead creeper party favors. 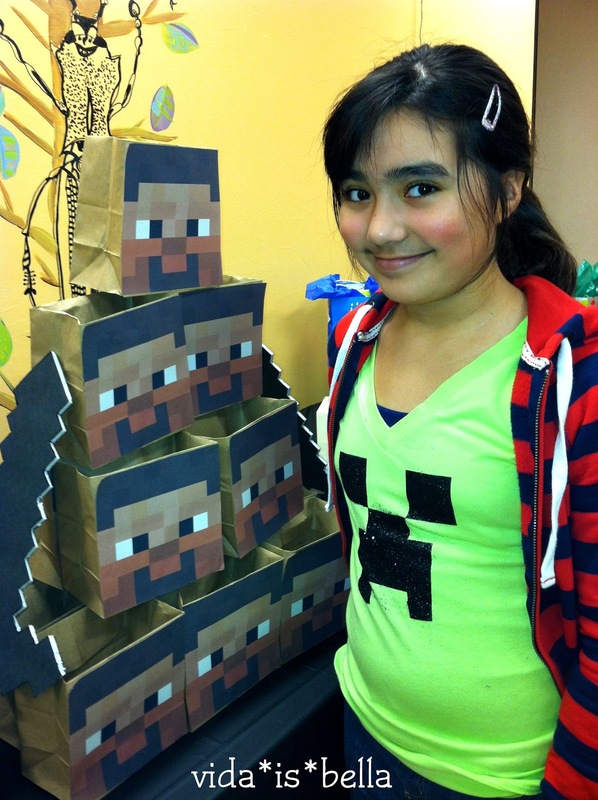 Looks like the chest is full of treasure!